About the company: PharmEasy is India’s leading and most trusted online healthcare and medicine delivery platform serving around 2 Mn customers in 1000+ cities through the website Pharmeasy.in and mobile apps (Android & iOS). Our data science team used Google Cloud infrastructure to create a baseline model for predicting the traffic on the website. This model enables the marketing team to gauge the effectiveness of the TV Ads campaign in driving acquisition and/or app installs. Download the case study now & know how we calculated the ad impact metrics like Return on Cost (RoC), Cost of Acquisition (CAC), Gain Per Spot (GPS), Cost per Spot (CPS), etc. 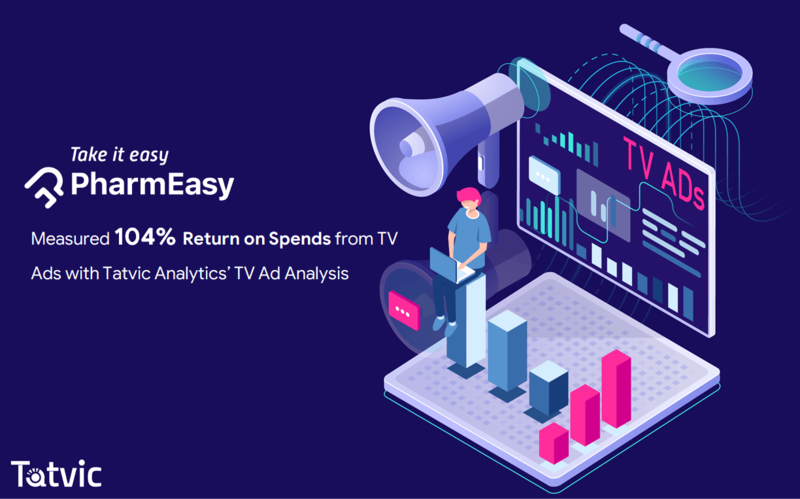 To know how well these metrics performed and what were the numbers depicting the success of the TV Ad Analytics, read the full case study! Enter your details to download this Casestudy! The case study is on the way. Check your inbox in a while.